Details about our Limited Company's registration can be viewed at www.companieshouse.gov.uk under reference number 08340463. 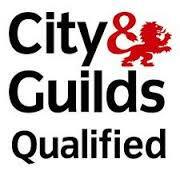 Electrical Installations, Building and Plumbing and Heating. Insurance Provider NICEIC Insurance Services. We always endeavour to provide the best service and products for our customers. However, on rare occasions, we recognise that there may be times where our customers may not be completely satisfied. To ensure we are able to put things rights as soon as we can, please read our complaints procedure below and we will respond promptly to ensure complete satisfaction. As soon as possible after the completion of the works, please inspect the work to ensure everything has been carried out to our usual high standards. In the unlikely event, there is anything you are not completely satisfied with, please contact us as soon as you can in order that we can rectify any problems as soon as possible. Either call us on 01322 686 073 or write to us at M.T.R Electrics Ltd, C4 Pembroke Business Park, College Road, Hextable BR8 7LT or email us at complaints@mtrelectrics.co.uk and we aim to respond within 3 days of receiving your complaint and where possible, will provide you with a date to remedy any issues raised. We comply with the Health and Safety Executive requirements and have a CPP Plan available for viewing and we will discuss this with you as required throughout our contract. Under the above-named regulation, you have a right to cancel this contract during a period of 14 calendar days from the day this notice is sent or given to you. During that period if you choose to cancel the contract any money paid by you will be refunded. I/We agree that: M.T.R Electrics Ltd may commence work on ___________________ (date), before my cancellation period has expired. I/We understand that if I decide to cancel within fourteen working days, I may be asked to pay for any work that has been done prior to my cancellation. 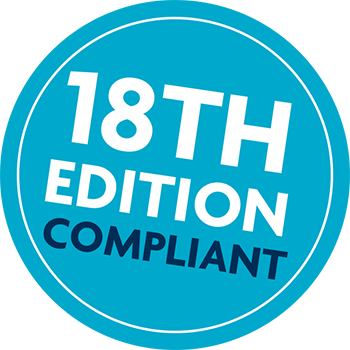 (a) All electrical installation work will comply with BS7671: 2015 and any amendments in force at the time of the works. (c) Electrical Installation and Minor Works certificates and Building Regulations notifications issued by M.T.R Electrics Ltd cover only those works installed by M.T.R Electrics Ltd.
(f) Where existing light fittings, sockets or switches require removal or repositioning best endeavours will be made to avoid damage and to refit to an acceptable standard. We cannot be held responsible for any damage that may occur due to the age and condition of the surround walls or ceilings. Any remedial repair work required can be quoted for separately. However, employing a specialist fitter may be prudent, to effect a fully satisfactory reinstatement. (g) Where carpet, floor coverings, skirting boards, dado rails and coving require lifting or removing, best endeavours will be made to avoid damage and to refit to an acceptable standard. We cannot be held responsible for any damage that may occur due to the age and condition of the said material. Any remedial repair work required can be quoted for separately. However, employing a specialist fitter may be prudent, to effect a fully satisfactory reinstatement. (h) Unless agreed beforehand, chases to walls, etc. will be left un-filled. Final finishing of skim coat plaster and final decoration is excluded. (i) Unless agreed beforehand, all materials supplied by M.T.R Electrics Ltd for re-wiring will be standard White. (j) M.T.R Electrics Ltd will not guarantee any materials supplied by the Customer. (k) M.T.R Electrics Ltd will endeavour to undertake installation work to a clean standard. However, some additional vacuuming and cleaning down of surfaces should be expected afterwards. Any equipment susceptible to damage from dust (e.g. video or computer equipment) must be removed from the work area prior to M.T.R Electrics Ltd arrival. (a) Installation of new consumer units (fuse board) is subject to the whole installation being tested to ensure it is safe to be connected to a new consumer unit. This is a legal requirement under Part P Building Regulations. (b) Existing faults on any circuit may not have been picked up by the previous fuse board but they will be by the new consumer unit. Any faults found when connecting the new consumer unit which are deemed unsafe or faulty, must be rectified prior to that circuit being reconnected to any new consumer unit. Any costs for such work are not included. Such issues will be brought to the Customer’s attention as soon as is practical during works. (c) Following a loss of power some items in the home may require resetting or reprogramming, for example, boiler, time clocks etc. Power will be reinstated but no items will be reset or reprogrammed. (d) In particular it may be necessary to install new main services bonding to water, gas or oil supplies. This is especially common on properties built during or prior to the early 1970s and again these are at additional cost unless agreed otherwise beforehand. (e) It has been assumed that the incoming mains supply is adequate to withstand a new electrical installation and the earthing values obtained prior to final connection and certification meet the required standards. If this is not the case then you should talk to UK Power Networks about upgrading the service head to a modern standard. This is not included in any quotation and should be dealt directly with your energy company. (f) All new consumer units installed are tested and verified on the day of installation, faults that develop after such time are in isolation to the installation any additional visits to locate and rectify faults are chargeable. (g) If you have had an Electrical Installation Condition Report (EICR) carried out on your property recently and this has shown the installation to be satisfactory, this must be presented prior to Installation of any new consumer units. (a) Whilst we try to be as helpful as possible and will generally do some limited moving to create access, the clearing and / or moving of furniture and other items blocking access to work areas are not included within the quote. (b) Whilst M.T.R Electrics Ltd will try and ensure that electrical items are plugged back in and in working order before we leave the premises, we will not be held responsible for any losses due to any electrical item not being plugged back in and / or switched on. (c) Removal from site and disposal of rubble, materials, general waste and packaging is not included. M.T.R Electrics Ltd may, at their discretion, remove old fittings and wiring for responsible disposal. (a) Estimated costs assume continuous and unhindered access to the site by prior arrangement with the Customer. (b) Unless stated otherwise, the costs quoted assume standard working hours between 08:00hrs – 16:00hrs Monday to Friday inclusive. Work required by the Customer outside these hours may attract premium rates although we will endeavour to be flexible. (c) Additional work not covered in stated costs will attract an additional charge plus materials. (d) Estimates are valid for 30 days from the date of the estimate. (e) Estimates for larger projects are for one-time installation, any additional works/visits will incur additional cost. (f) Any items damaged or removed by a third party will incur additional cost if it is required that these are to be replaced. (a) The risk in all goods supplied shall pass to the Customer upon delivery. (b) All goods supplied shall remain the property of M.T.R Electrics Ltd until all sums due have been paid in full. (a) M.T.R Electrics Ltd warrants its installation work to be defect free for a period of seven years from the invoice date. Cover does not extend to materials, these are covered by the manufacturer’s warranty. We do not cover materials supplied by others, physical damage, wilful misuse or instances where the installation has been altered or tampered with by third parties. The warranty also excludes fair wear and tear, lamps, fuses or other consumables. (a1) Where projects involve works by third party trades, any damage to the electrical installation by third parties shall remain the responsibility of the Customer. Any rectification costs must be paid by the Customer prior to commencement of second fix. Recovery of such costs from any third party shall be the Customers responsibility. (a2) Security alarms will be fitted with tamper seal on main panel. All warranty is void if this is broken. Request of engineer code will also void any warranty. 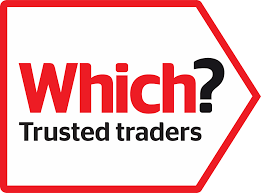 (b) All Customers of NICEIC registered contractors will be covered by the NICEIC platinum promise, assurance that any work not carried out in compliance with the building regulations will be rectified. 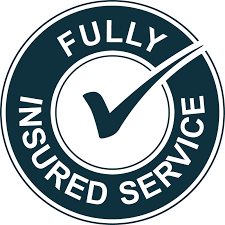 This cover is for a period of six years and up to a maximum value of £25.000. (a) Unless agreed in writing, payment in full should be made on completion of the specified works, to M.T.R Electrics Ltd.
(b) Larger projects will require a non-refundable deposit before work commences. 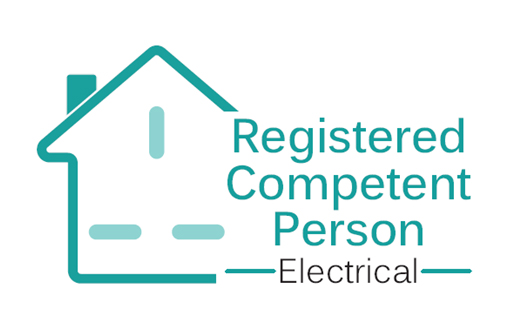 (e) Full payment is required at the time of booking for Electrical Installation Condition Reports. (g) Cancellations made after materials have been ordered will incur a shipping fee of 25% + VAT. (h) Payment is accepted by debit or credit card, cash, bank transfer or cheque. (i) In the event of any non-payment M.T.R Electrics Ltd reserve the right to withhold any certificates for work carried out until such payments are made. By confirming acceptance of your quotation by telephone, in writing or by email you are agreeing to these terms and conditions.